The Story Of "Natalie Attired"
Somebody (very wise) once said "Never invest in something that eats or needs repair". 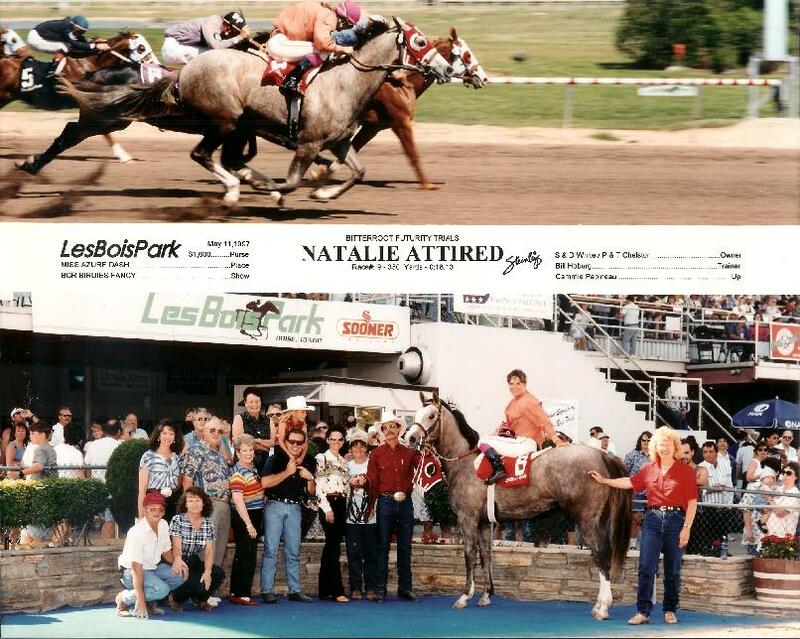 Natalie Attired was a fine young lady and my first experience with quarter horses or race tracks. Paula was breaking colts from the time she was a kid and certainly no stranger to the "business". Paula's brother, Bill Hoburg, ( an accomplished trainer and horseman) trained and raced Natalie throughout the Pacific Northwest circuit and we were on hand for her win at the "Bitterroot" in Boise. Shortly after the win, Natalie suffered a cannon bone injury and retired from the track. 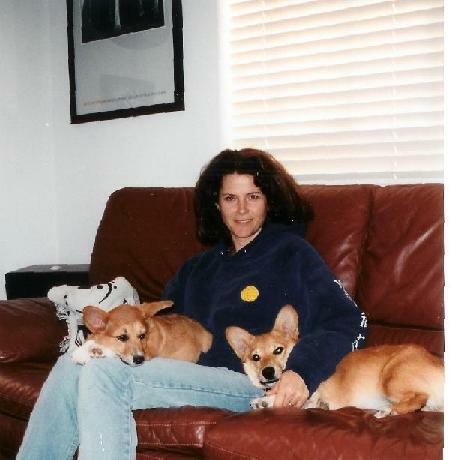 Paula turned her attention to raising Pembroke Welsh Corgies. During the past decade, she's turned out nearly two dozen of the little monsters.